I hope you all had a great weekend! I am so excited for Christmas this week! I have to get a couple more presents today and I am honestly scared to go to the mall... Wish me luck! Love this look! Those jeans look amazing on you and I love the stripes and leopard together! 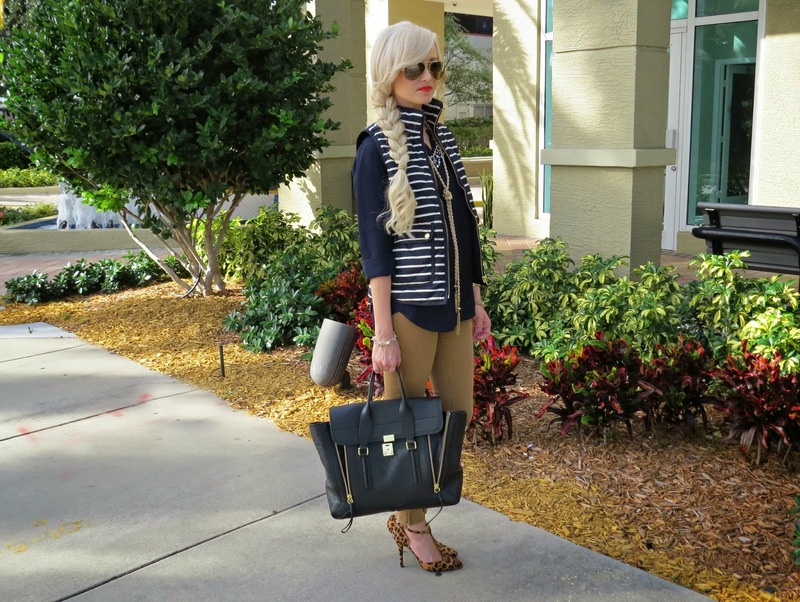 Stripes + Leopard are a winning combo! You look fab! I have these shoes and I love them! I feel like you can wear them anything!! I love your styling of the J.crew vest, it looks great! love the vest! i am a total sucker for stripes. i always make a beeline for striped tops when i go shopping. at least i know what i like, right?